The traditional dying process contributes significantly to pollution and results in waste products that find their way into our rivers and oceans. This problem can be solved by researching alternative dying proccesses like the use of bacteria for exemple. 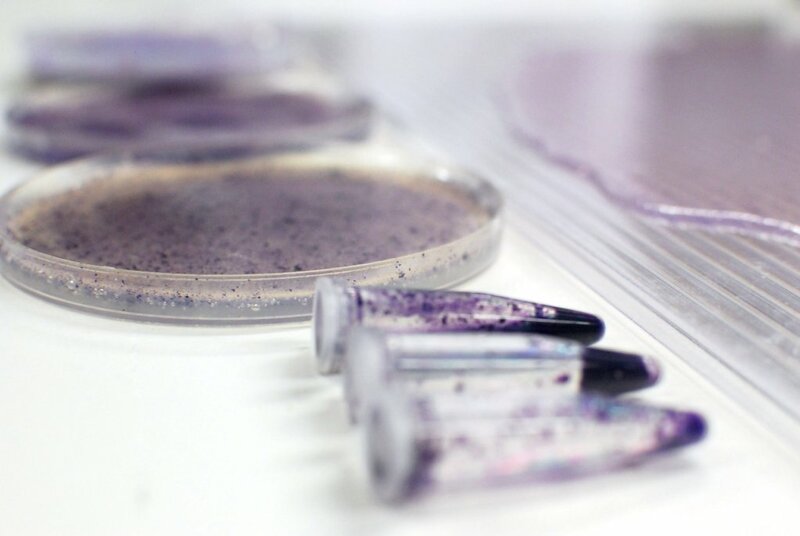 Project : Algea-based bioplastic samples dyed with bacteria pigments. Janthinobacterium lividum, bacteria pigments extracted by Jessica Dias at the FabTextiles's biolab, Fab Lab Barcelona.